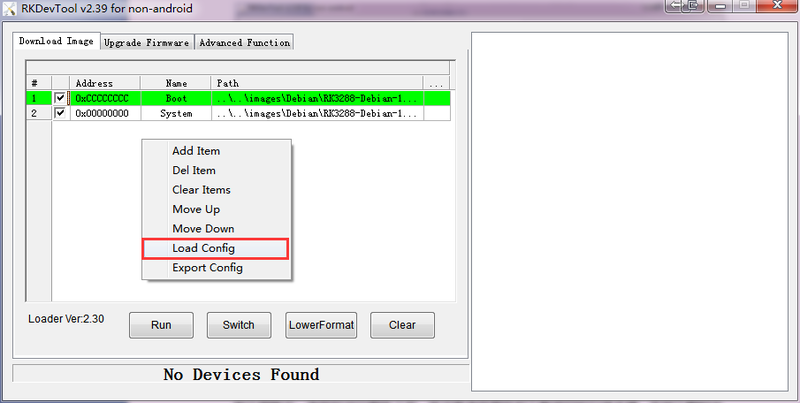 The jumper cap is connected to the OTG_ID mode as shown below. At this time, the USB port is USB HOST mode, which is used to connect the mouse, keyboard, U disk and other peripherals. 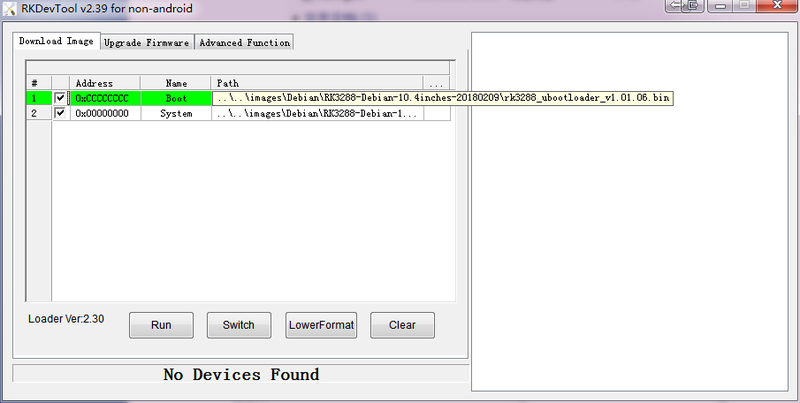 The jumper cap is connected to the VBUS_IN mode as shown below. At this time, the USB port is used as the brush port, USB Device mode, connected to the computer. 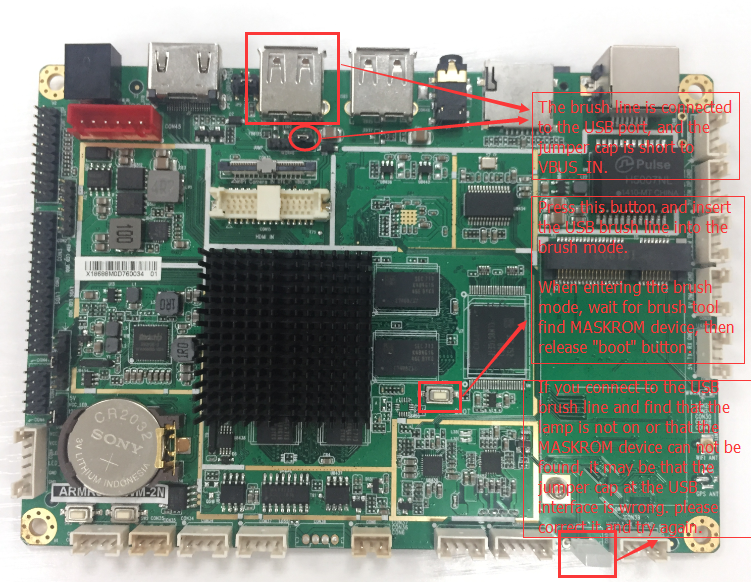 Please don’t connect the power supply of RK3288 board when you brush the system. Click “\Linux\Tools\DriverAssitant_v4.5\DriverInstall.exe” install driver, as shown below. After the installation is successful, you will see a massage Box pop-up as shown in the figure below. 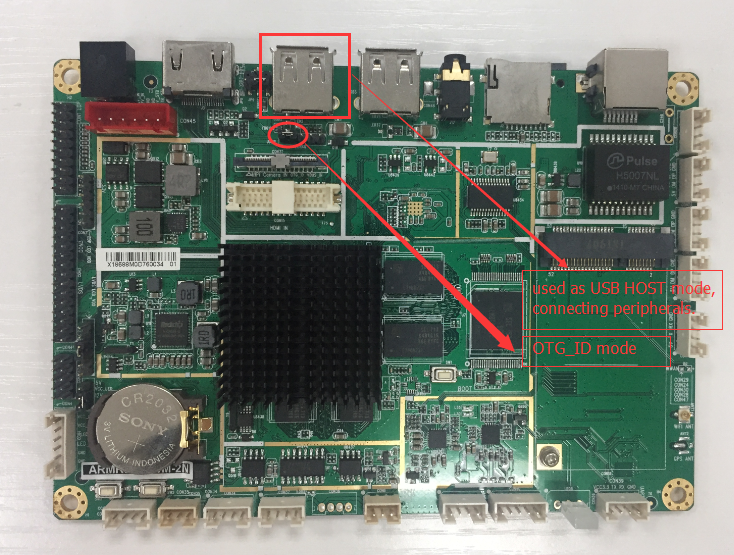 If you has ever brushed Android system for RK3288 board or RK3328 board, you can not install the driver. 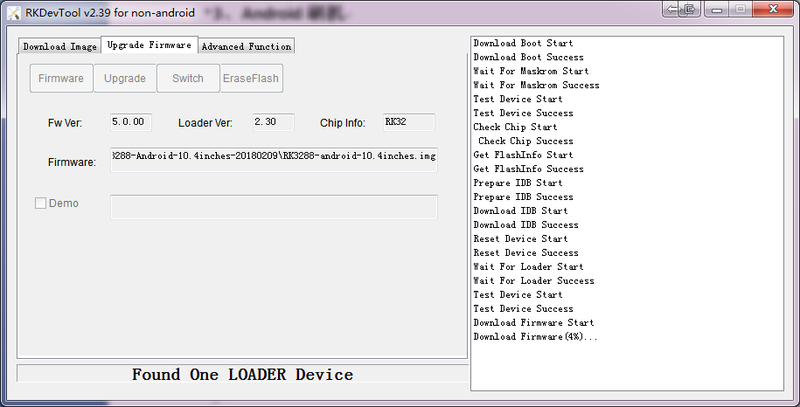 Run “Linux\Tools\AndroidTool_Release_v2.39\AndroidTool.exe” select “Downlaod Image” table. as shown below. Hold press “BOOT” key, than press “reset” key. wait for AndroidTool find MASKROM device release “BOOT” key. Click “Run” button for flash Debian. as shown below. Run “Linux\Tools\AndroidTool_Release_v2.39\AndroidTool.exe” select “Upgrade Firmware” table. Click “Firmware” button load “Linux\Images\Android\RK3288-Android-10.4inches-20180209\RK3288-android-10.4inches.img” Android image file. Click “Upgrade” button for flash Android. 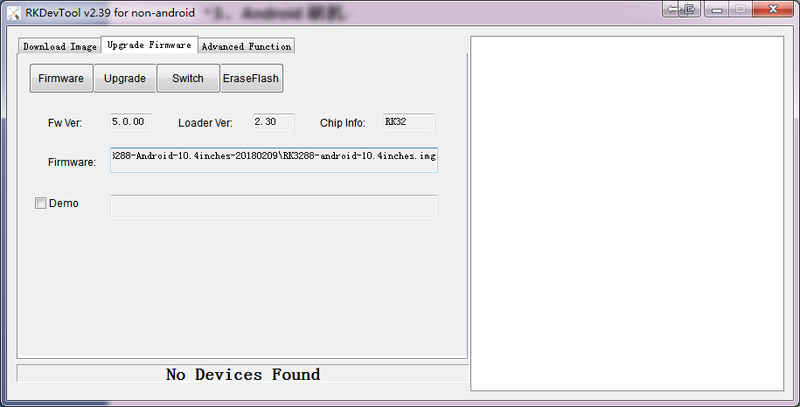 Click “EraseFlash” button for erase flash.